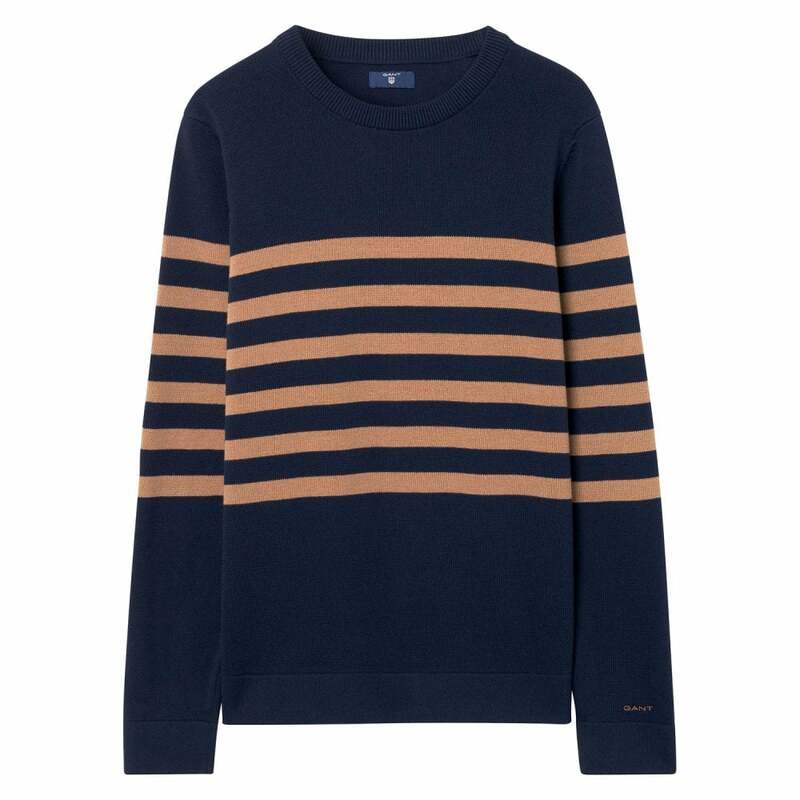 A wardrobe staple for the cooler months this cotton crew Sweater is made of 100% cotton. The fibers have been treated to ensure a perfect blend of softness and strength, making it a great everyday sweater. It features a crew neck, ribbing on the cuffs and hem, and a classic embroidered GANT shield on the chest. Perfectly soft this sweater is great on its own or with something underneath. Reshape while wet. Wash and iron inside out.